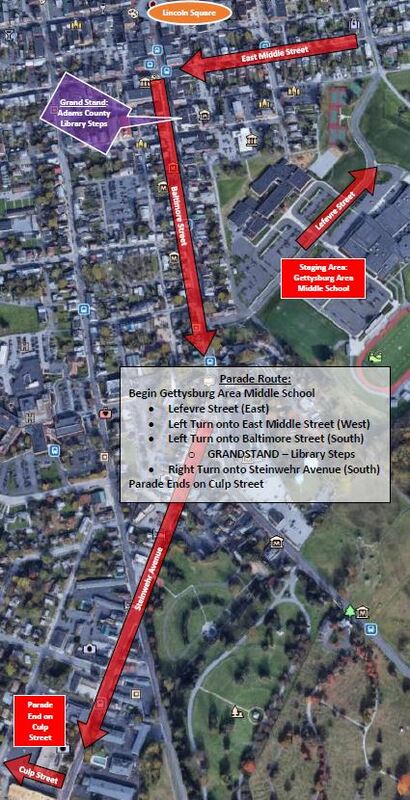 The Gettysburg Christmas Parade will begin at 1 p.m. on Saturday, December 1, 2018. The parade will begin on Lefever Street, heading north. At E. Middle Street, the route will continue west towards Baltimore Street. At Baltimore Street, the route will head south and will continue onto Steinwehr Avenue. The parade will end at Culp Street. Click here to view a map of the parade route. If you are interested in participating in the parade, click here to download the registration form or register here.